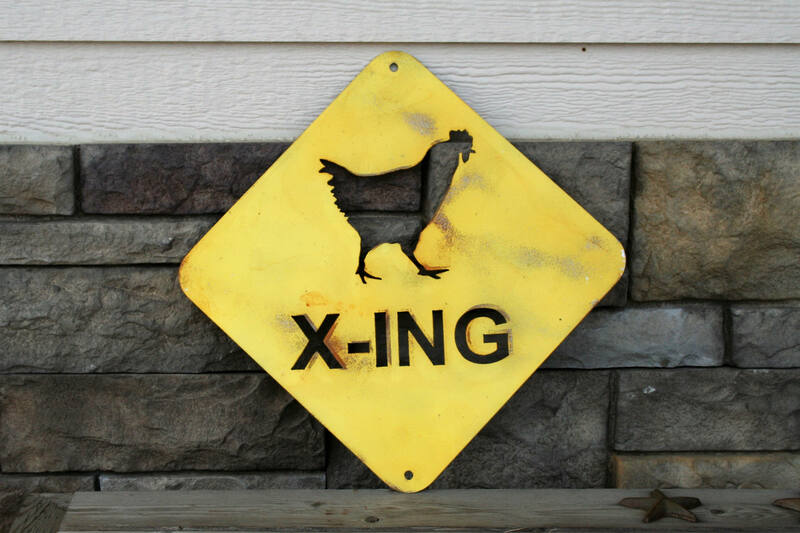 Chicken Crossing Sign is perfect for your chicken coop! 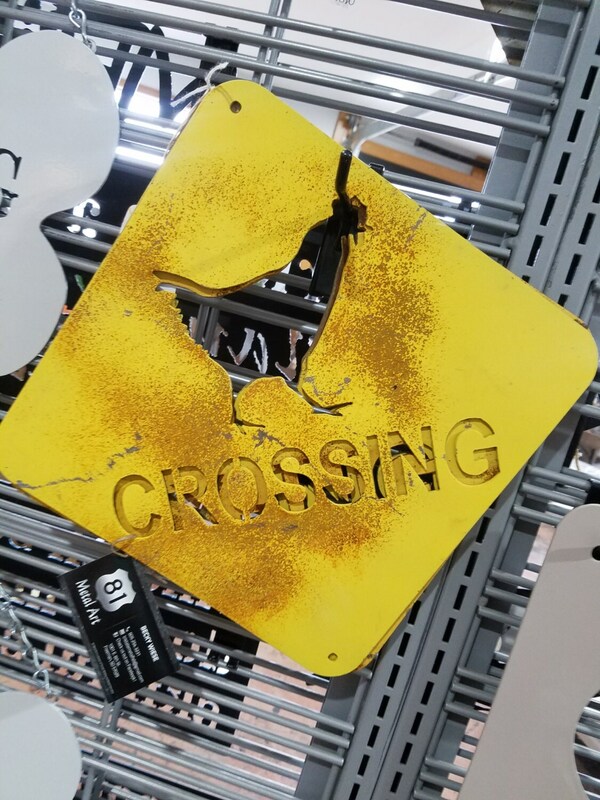 The sign is cut from steel just thinner than a nickel. It's coated in your choice of bright yellow or red powder-coat. Rustic signs are distressed to look aged before shipping. 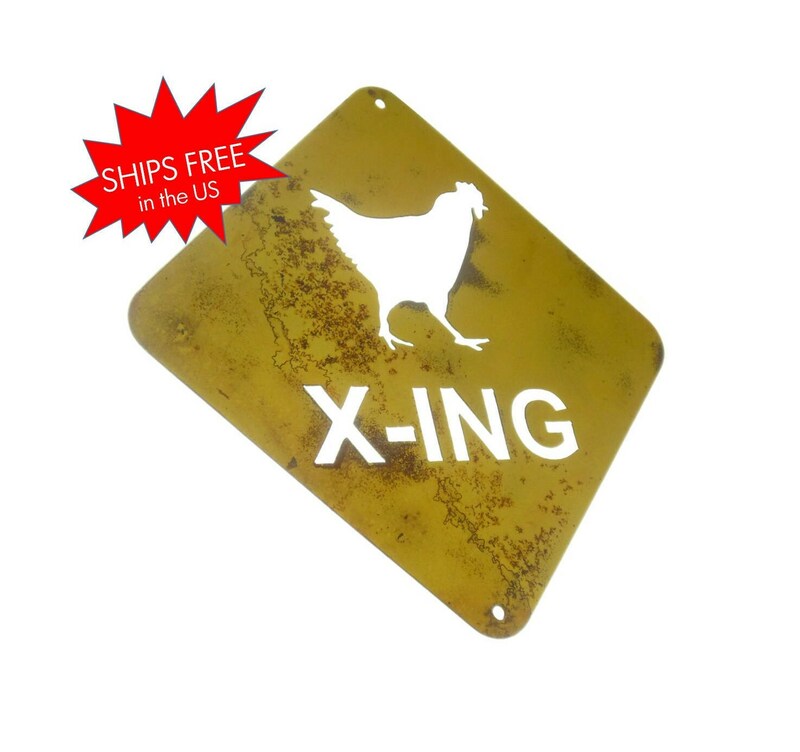 The sign is 15" tall with a hole to hang onto a post, fence or the chicken coop. This funny sign is a traffic stopper! 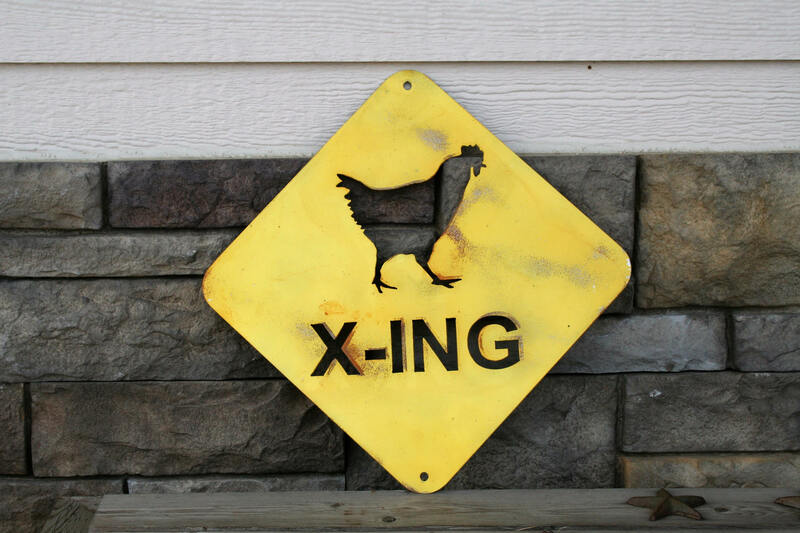 Sure to get everyone's attention, and you'll keep your chickens safe for many years to come with this durable sign. 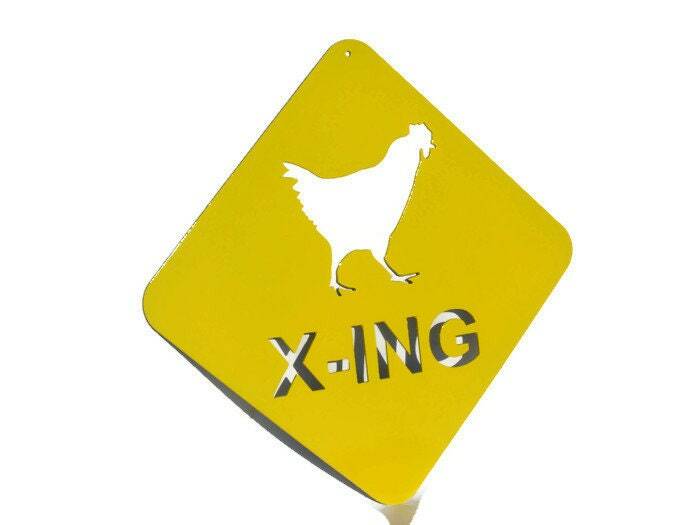 You choose if you would like the sign to say X-ING or CROSSING. 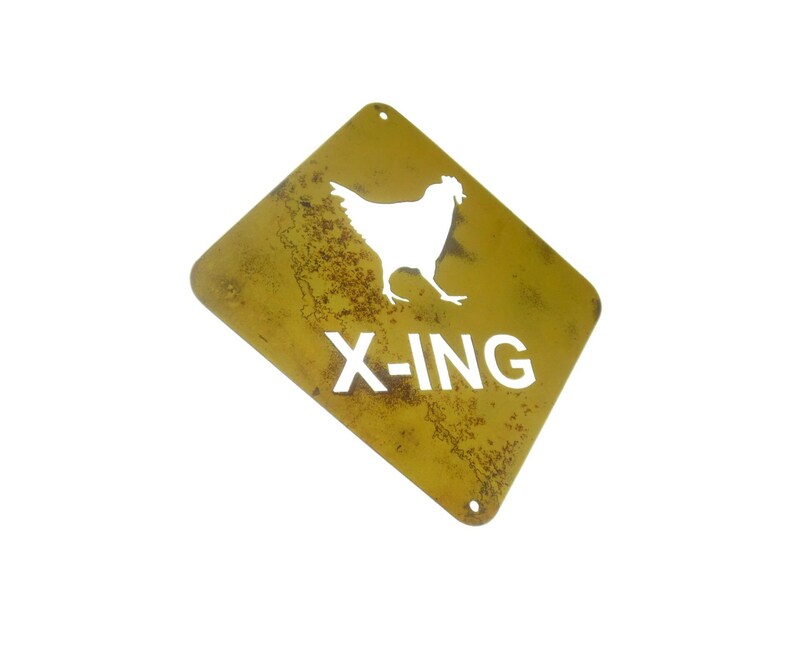 We hope you'll love our chicken signs as much as we love making them! All of our products are made by the 2 of us in our home shop -- 100% made in the USA and made to last! 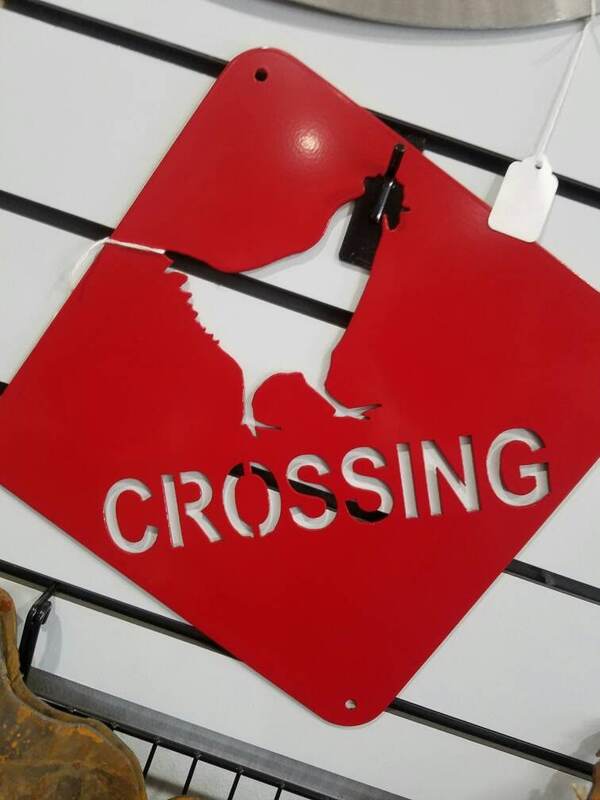 The chicken crossing sign is all that I hoped! My only regret is that it isn't larger but that is OK. It is a great addition to our yard art collection. Thank you! 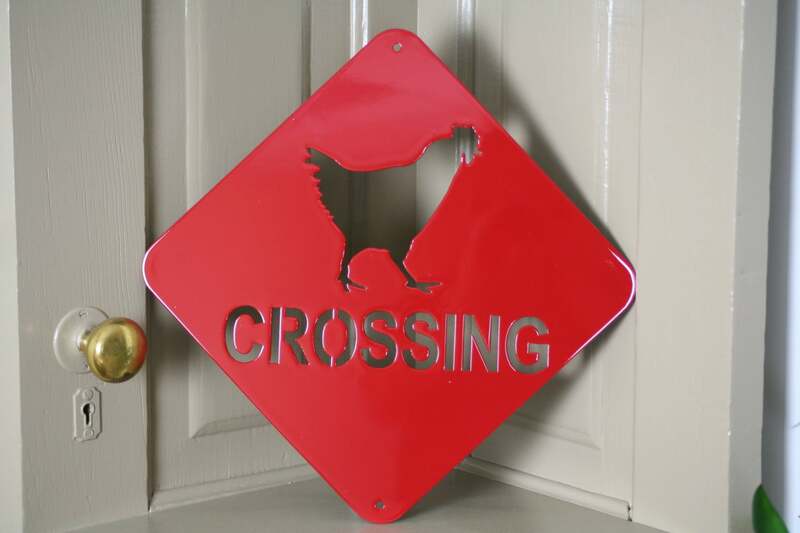 I got the one that says "CROSSING" instead of "X-ING" - I think my sister (gift recipient) will love it!